At Domtar, wood pulp is the building block of our business. We use wood pulp — plant-based cellulose fibers — to create market kraft pulp, paper, personal care items, specialty papers and many other products that people around the world rely on every single day. In fact, Domtar is one of the world’s largest producers of market kraft pulp, and we have customers in more than 40 countries on five continents. Many of the world’s leading companies depend on us to deliver high-quality pulp from sustainably managed forests. We offer a variety of pulp grades to meet a wide range of end uses, many with specific technical requirements. Our two most significant grades are northern softwood pulp and fluff pulp, both of which are important grades in the global pulp market. Northern softwood pulp comes from trees that grow in the upper half of the Northern Hemisphere, such as black spruce, jack pine, white spruce, lodgepole pine and Douglas fir. This type of wood pulp offers excellent strength (tensile and tear), high brightness and outstanding cleanliness — three properties that are ideal for premium tissue and towel, lightweight specialty and other paper products that require low basis weight and high strength. It’s also used to make fiber-reinforced materials, electrical transformer boards and other specialty products. Espanola Mill — The wood pulp produced at our Espanola Mill in Espanola, Ontario, exhibits high tear and tensile strength, which is typical of pulp made from jack pine trees. It’s also easy to refine and is very clean. 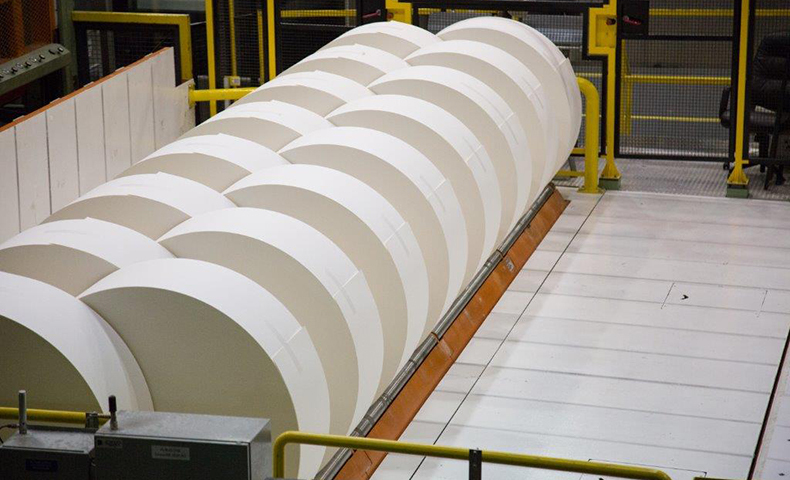 These properties make this wood pulp well-suited for medical packaging, coated and uncoated specialty paper, printing and writing paper grades, and tissue and toweling products. Dryden Mill — Dryden softwood is made from black spruce and jack pine that is grown in Northwestern Ontario and processed at our mill in Dryden, Ontario. This wood pulp is ideal for premium towel and tissue, as well as fine paper grades that require high strength, excellent formation, a uniform surface and superior cleanliness. Kamloops Mill — This mill, located in Kamloops, British Columbia, produces wood pulp from trees grown in the south central interior of British Columbia. Species include white spruce and lodgepole pine. The fiber strength and low coarseness of this wood pulp deliver excellent strength, surface uniformity and smoothness to products such as coated grades, low-basis-weight grades, premium tissue and toweling products, and technical specialty papers.Douglas fir plays a key role in our specialty pulp grades, as well. The fiber length and moderate coarseness result in a very good balance of sheet strength, bulk and surface properties. Douglas fir is well suited for fiber-reinforced materials, tissue and towel, uncoated freesheet grades and other specialty grades. We sell fluff pulp under the Lighthouse® brand name, which includes Lighthouse Fluff and Lighthouse X. This type of pulp uses fiber from the loblolly pine, which is grown in the southeastern United States. Loblolly pine produces a high-quality cellulose pulp with long, bulky fibers that are well suited for absorbent products such as baby diapers, adult incontinence products, feminine hygiene products, airlaid non-woven wipes and other personal care products. It’s also used in absorbent toweling and other specialized products. The low fiberization energy and excellent quality of our Lighthouse-brand fluff pulp make it a popular choice among manufacturers of absorbent products. It also offers excellent absorbency, wicking and fluff pad integrity. Fix also notes that Lighthouse Fluff Pulp offers excellent options for the different types of diapers being made around the globe, including pull-ups and ultra-thin diapers. “We’ve been working alongside our customers to develop pulp that helps them succeed in the marketplace, whether that’s a new product or providing world-class technical assistance onsite,” says Fix. Lighthouse Fluff Pulp is produced at our Ashdown Mill in Ashdown, Arkansas, and our Plymouth Mill in Plymouth, North Carolina. All of our northern softwood and fluff pulp is produced using elemental chlorine-free bleaching technology. In addition, our pulp mills have been certified by the Forest Stewardship Council®, the Programme for the Endorsement of Forestry Certification™ and the Sustainable Forestry Initiative® as using sustainable forestry practices and manufacturing processes. Location is also important. Our northern softwood and fluff pulp mills are located in areas with good access to ports and export markets, and our diverse network protects against supply chain disruptions due to storms, drought, fire or other natural causes. For more information about Domtar’s wood pulp, including northern softwood pulp and Lighthouse Fluff Pulp, contact your Domtar representative.